Inspired by the globally popular television sitcom 'F.R.I.E.N.D.S' in terms of brand design, (and also the name has a political ring to it *wink*) Mitron Bar and Café that opened its doors in December, caters to large groups as it proves to be a very budget-friendly place. Strategically located on the ground floor of Peninsula Grand Hotel, right next to Sakinaka Metro Station, Mitron replaces the previous all-day diner Caraf. This place is one of the few places with a 4.9 rating on Zomato, and has slowly grown quite popular in the suburbs of Mumbai. Many who follow American shows know how popular F.R.I.E.N.D.S used to be (rather still is and will always be), the Indianised version of the name has attracted eyeballs. 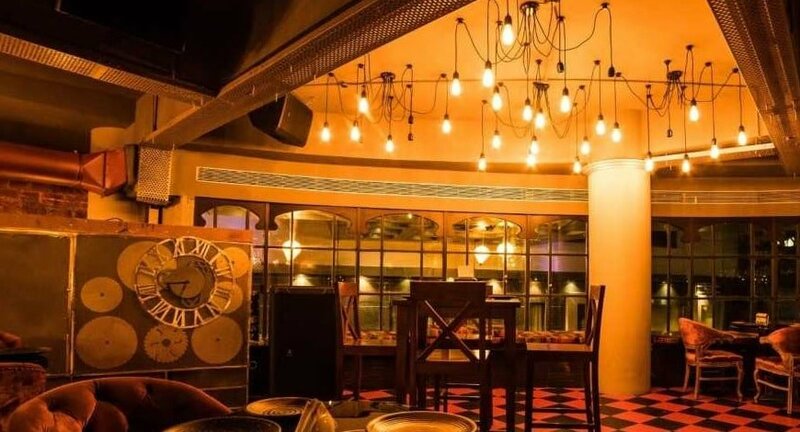 The decor and the ambiance is like that of a nightclub, dim lights to get you in the mood to party, with loud music playing in the background, this isn't a place for a quiet dinner. It focuses diligently on both the food and bar menu by keeping them pocket-friendly and appealing. 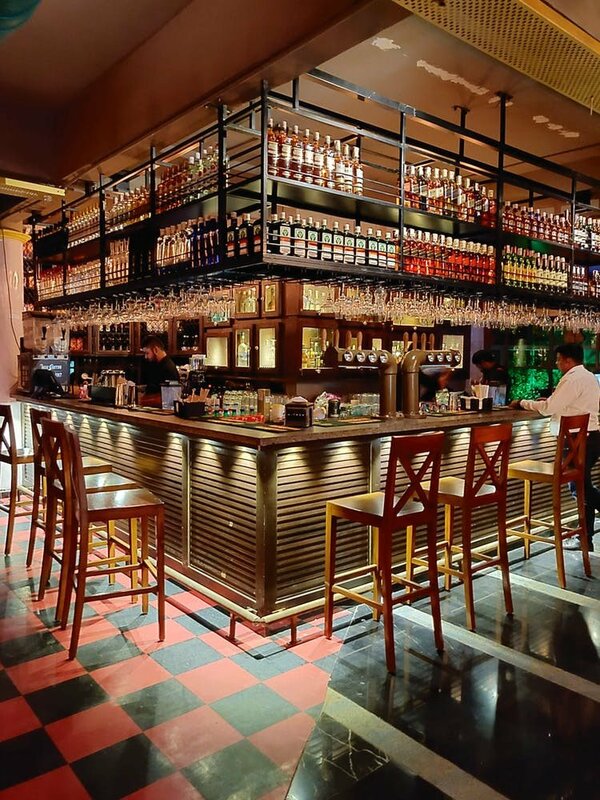 With a capacity of 150-200 pax, Mitron dons a food menu curated by Executive Chef Siddhesh Raut - ‘Pure Fusion, No Confusion’ which boasts of some delectable dishes, usually in bite sizes including some of the popular ones like Misal Bunny Chow, Anda Bhurji Nachos, Paneer Bruschetta, among others. Moreover, their signature alcoholic ‘Banta Soda’ in many flavours and a selection of premium labels at MRP are some of the USPs that have been roping in a lot of wine and spirits connoisseurs to Mitron too. In order to attract larger groups, the management has introduced the ‘Bigger the group, bigger the discount’ concept, where the discount is levied in particular brackets ranging from 5%, 10% and many more with respect to the number of people in a group visiting the bar & cafe.